Buy ABSA repossessed cars at bank auctions in South Africa and you can walk away with a favourable deal on a new set of wheels. Cape Town, Johannesburg, Durban, Port Elizabeth and George are amongst the areas holding regular auction events around the country. Where pre-owned vehicles are sold at prices often way under market value. Many makes and models are no more than a few months off the showroom floor and can almost be classed as brand new! The reason we write specifically about buying ABSA repossessed cars from the bank repo auctions in South Africa is simply because they are the country’s largest financial service provider. They have more repossessions available for sale to the public than most other registered institutions. One man’s loss is another man’s gain as the old saying goes and as sad as it may be for people losing there vehicles due to defaulting on payments, it does present opportunities for those looking to buy a pre-owned vehicle in good condition at a value for money price. There is no need to feel intimidated or nervous about attending one of the many events and bidding against others either. Even if you have no experience in the auctioneering process. There are always staff on hand at these events to help and guide beginners through the process and explain exactly how things work, what is required and how to bid against others to get the most favourable deal possible. Finance too is almost always available to apply for on the day. Whether you are looking for a nice family vehicle, something small for yourself, luxury vehicles or even bakkies, motorbikes and caravans. Head on out to one of the next bank repo auctions near you to see a selection of and possibly buy an ABSA repossessed car for a price that suits your budget. What exactly is a repossessed vehicle? When you buy a vehicle, you will usually have to get financing from a financial service provider in order to pay for the car. You will then sign an agreement binding you to pay a certain amount on your loan including interest every month. Because our financial situations are unpredictable, some of us find that because of losing a job. Or because of an unexpected expense, we cannot afford to make our loan repayments. The financial service provider who financed the loan will then be within their rights to repossess the vehicle. The bank will take the vehicle away from the individual and sell it on as quickly as possible. Usually through an auction, in order to make back the money that they stand to lose if they do not get paid for the vehicle. Why should you buy ABSA repossessed vehicles over normal second hand cars? A repossessed vehicle is often much newer than other second hand vehicles. Therefore it looks good, its parts are in great working order and it has a low mileage. It is also very likely that the warranty’s and the service plan will still be intact. Saving the new owner a lot of money on repairs, services and maintenance. An auction is a good way to buy a vehicle because there are bargains to be found. The potential buyers will decide how much they are willing to spend on any vehicle. ABSA is a reputable, well-known financial service provider with a great history and many happy and satisfied clients. They are a long standing company who keep to their deals. And who always aim to finance those who can afford to pay them back. 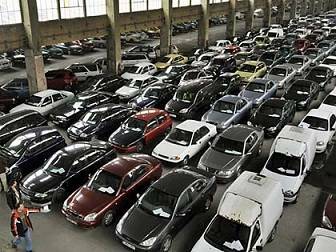 There’s a lot of repossessed cars on sale at auctions throughout the year and you can contact them for details of sales near you. You can’t go wrong in any dealings with this upstanding financial service provider. Who else sells repossessed cars in this country? You can find out about when the next auctions are by looking at the ABSA website. Or contacting the staff at your nearest ABSA bank for more information. There are things to keep in mind when you are shopping for second hand or repossessed vehicles. In the past, companies who sell second hand vehicles and those who sell repossessions have been known to be dishonest. Perhaps to sell cars for more than they are worth. Or vehicles that have certain flaws and problems. It is a good idea to make sure that you are very careful about who you choose to buy a vehicle from. Make sure you go for a company like ABSA, that is reputable and that you can trust to sell you a good car for the right price. Visit the ABSA Bank website today to find out more on their vehicle auctions and detailed lists of what types of repossessed cars are available through them.